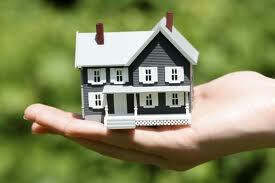 If you are thinking of a career in the Real Estate industry keep reading! So – what does a real estate agent do? And what qualifications do you need?? A Real Estate agent is a person who is licensed to help people either buy or sell a property or to act on behalf of a property owner to oversee tenants and the overall management of their rental property. A real Estate agent will usually undertake a course or training through classes, while some may obtain their training through *on the job* training – but you will still need to pass all the tests or requirements for you to become full licensed. Generally if a buyer likes a property the agent would submit a price offer on your behalf to the seller and if rejected works toward negotiating a price that is mutually agreed upon by the buyer and seller. Likewise a seller would approach a real estate agent to help them determine the asking price, and to show or advertise the property on their behalf. Real Estate agents also *manage* properties on behalf of clients with their duties including listing properties for lease, collecting rent money, showing properties that are for rent, overseeing any repairs, and accepting tenants. So now you know what a real estate agent does – you need to have a Certification of Registration certificate – while some duties within a real estate office do not require a licence (such as a receptionist) to be able to perform duties as a real estate agent you will need a certificate. At the moment there are 5 categories of certification depending on what function you wish to perform. Real Estate – which is the sale and management of residential or commercial property, and rural land up to a maximum of 20 hectares. Stock and Station – for the sale of livestock and sale and management of rural land. Business – sale of businesses only it does not include the property. Strata – management of the affairs of the owners’ corporation of strata property. On-site residential property manager – management of one complex which the holder must possess an interest in by way of lease or ownership. To be able to perform the duties associated with the different certificates the holder must be registered under the direct supervision of a person who holds the same category licence. For example to hold both a strata and a business Certificate of Registration you would need to be registered under the supervision of the holder of both a strata and a business certificate of registration. So what course do you need to do??? REINSW offers a course in *Property Practice* for those who would like to obtain their Certificate of Registration. There are several ways to complete the course which includes studying online or in a classroom. Studying online is great for those who find it hard to get to a class or would prefer to study in their own time. If you have already completed a course and it’s time to start looking for a job some places to look for work include seek.com.au, realestatejobsearch.com.au, mycareer.com and careerbuilder.com. You could also try visiting the Real estate offices in your area or online – Facebook. G+ and LinkedIn and see if there are any leads you can chase up or positions available. Are you thinking of getting into the real estate field? Have you been a real estate agent? Do you have any insights you can share with us? Anything that can make the path easier for those interested in a new career? We’d love for you to share any advice or help with us.